The Far East flavor of sesame and seaweed with the delicious crunch of brown rice. 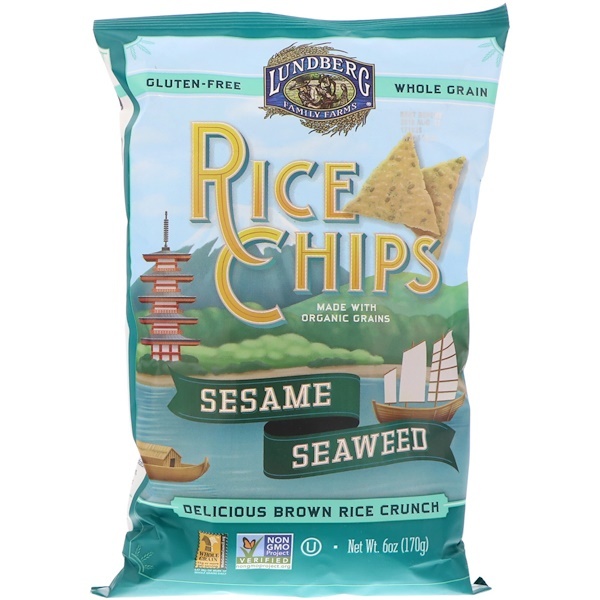 Since 1937, Lundberg has been dedicated to bringing the best-tasting, finest-quality rice products to our customers. Each package holds a promise of our continued dedication to great taste, conservation, sustainability, and innovation. 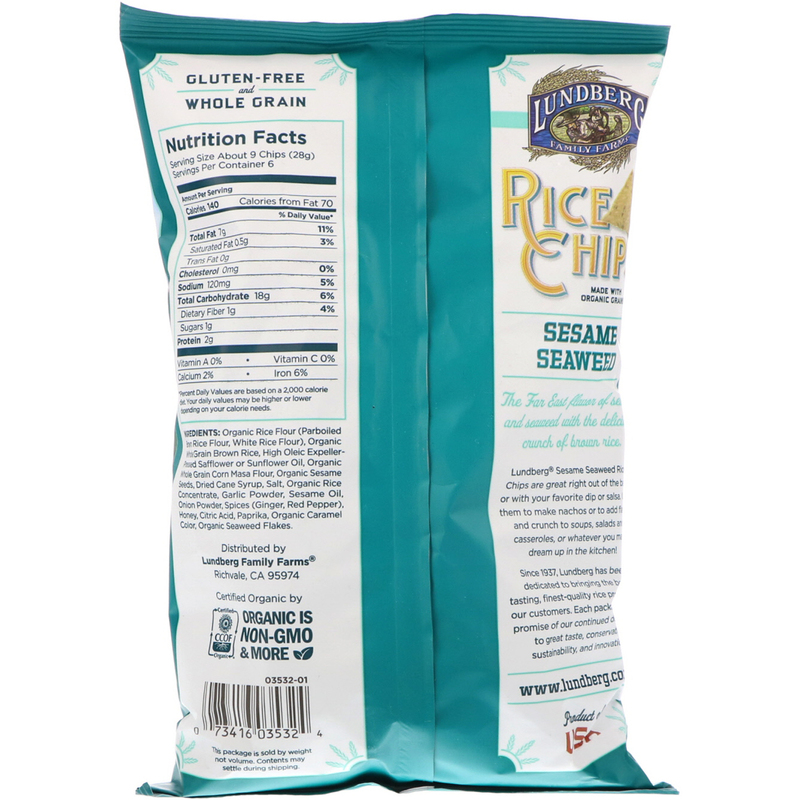 Organic rice flour (parboiled brown rice flour, white rice flour), organic whole grain brown rice, high oleic expeller-pressed safflower or sunflower oil, organic whole grain corn masa flour, organic sesame seeds, dried cane syrup, salt, organic rice concentrate, garlic powder, sesame oil, onion powder, spices (ginger, red pepper), honey, citric acid, paprika, organic caramel color, organic seaweed flakes.